If you have any questions about the SAFARI information page below please contact us. This motor yacht SAFARI is a 30 m 100 (ft) well proportioned composite luxury yacht which was built at Nordlund Boat and conceived by Ed Monk Yacht Design. Accommodating 6 passengers and 4 crew, motor yacht SAFARI was once called Aerie which was her build project name or actual name. Ready for launch for 1997 her interior design illustrates the realisations of owner and Pokela Design/Marie Gray. Ed Monk Yacht Design was the naval architect involved in the formal nautical design work for SAFARI. Her interior design was conceived by Pokela Design/Marie Gray. Ed Monk Yacht Design is also associated with the yacht general design work for this boat. 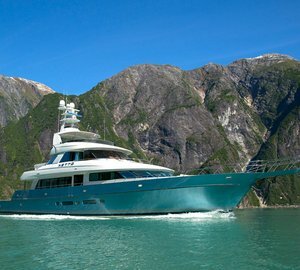 the United States is the country that Nordlund Boat constructed their new build motor yacht in. After the formal launch in 1997 in Tacoma Wa the boat was thereafter passed over to the owner after final finishing. The hull was crafted from composite. The motor yacht superstructure component is fabricated largely from composite. The length of the luxury yacht on deck is 27.74 (91 ft). With a beam of 6.46 m / 21.2 feet SAFARI has reasonable internal space. A fairly shallow draught of 1.52m (5ft) selects the list of certain harbours she can enter, contingent on their minimum depth. She had refit maintenance and changes undertaken by 2002. 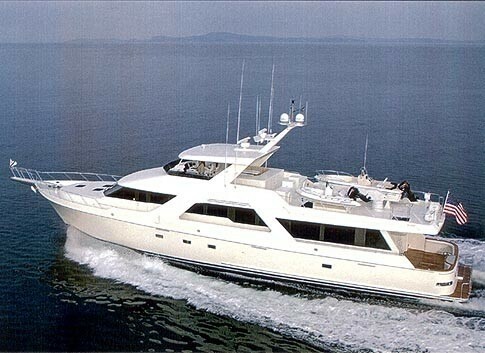 Fitted with twin DDC diesel main engines, SAFARI is able to reach a top speed of 22 knots. Connected to her Ddc engine(s) are twin screw propellers. Her total HP is 2220 HP and her total Kilowatts are 1634. Concerning thrusters she was fitted with Wesmar. As for the yacht’s stabalisers she utilises Naiad. 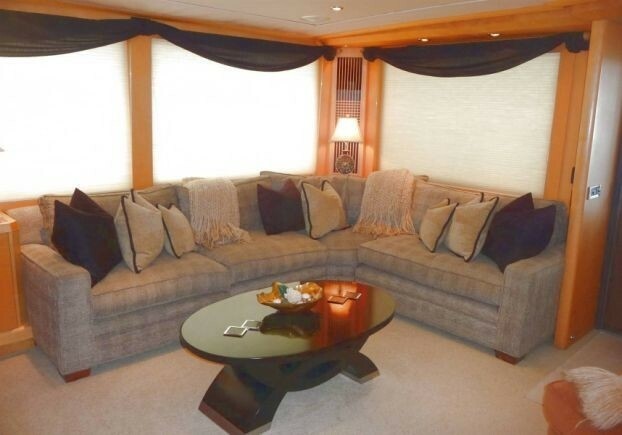 The well proportioned luxury yacht M/Y SAFARI is able to sleep as many as 6 passengers in addition to 4 crew. Main Engine(s) is two 1110 HP / 817 Kilowatts Ddc. The Model type is 12V 92TA diesel. Giving the combined power of 2220 HP /1634 KW. Kohler 2 times 50 kilowatts. Aqua Air is the model of AC chosen onboard. SAFARI features a grp-teak deck. The luxury yacht SAFARI displayed on this page is merely informational and she is not necessarily available for yacht charter or for sale, nor is she represented or marketed in anyway by CharterWorld. This web page and the superyacht information contained herein is not contractual. All yacht specifications and informations are displayed in good faith but CharterWorld does not warrant or assume any legal liability or responsibility for the current accuracy, completeness, validity, or usefulness of any superyacht information and/or images displayed. All boat information is subject to change without prior notice and may not be current.